The keynote of the Indian Renaissance of today, is the great and increasing attention paid to the Vedanta Philosophy; and especially to the thought and philosophy of Shankaracharya. In the first days of Orientalism, and in the work of the Calcutta school, the significance of the Vedanta was hardly even guessed at. Sir William Jones and his colleagues, full of the traditions of western and classical literature, sought in India chiefly for new developments of the literary forms that they were already familiar with. The Calcutta school looked for an Indian Iliad, an Indian Thucydides, an Indian Shakespeare; they placed the highest valuation on Shakuntala, and Manu’s Code. Working along these lines, seeking in India for an echo of Greece and Rome, they gradually arrived at an estimation of India’s literature and thought which was distinctly unfavorable. Their attitude towards India became one almost of disappointment; they found that the “Indian Iliad” was less full of epic force, fresh, natural power, and heroic emotion than the Iliad of Greece. They found that the Indian Shakespeare had not the many-sided majesty of the bard of Avon; that Shakuntala, though full of beauty, and enamelled perfection, was not dramatic like Julius Cesar, or Hamlet or Lear. And the Indian Thucydides they looked for in vain. One may find a score of times in the work of the early Orientalists, the oft-repeated common-place that India has no history. But you will hardly find a hint at all that India has a philosophy: a philosophy second to none in the whole history of human thought. But the world is gradually wakening to the recognition of this truth; gradually coming to see that Indian literature finds its singular value not in dramas like Shakuntala, however full of artistic perfection they may be; not in law books like Manu, however full of sociologic interest; not even in the epics, the Ramayana and Mahabharata, which are after all inferior in epic power to Homer; but in something else, different from all these; something that is hardly to be found in Europe at all, and for which the first Orientalists never thought of looking; in the philosophy of the Vedanta, with Shankara as its most lucid teacher. It would be easy to prove this from a dozen recent works on the spirit of the age. In India, the influence of this perverted and India and Indian Orientalism. One of Professor Max Müller’s latest works—to mention only one instance—is almost throughout inspired by the Vedanta philosophy, and kindled by the spirit of Shankara. 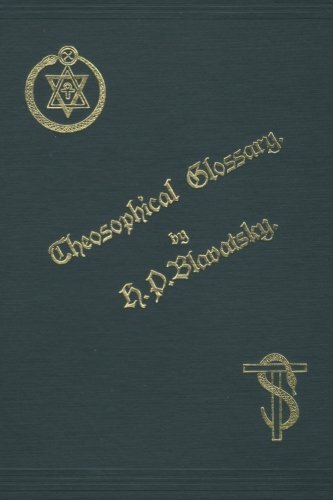 The very title of this book, Theosophy of Psychological Religion,” and the idea that underlies the title are suggested by Indian thought, which above all lays stress on the interior light of the soul, on inner enlightenment and perception as the last and highest touchstone of religion and philosophy. From no other source could have come the title “Psychological Religion”—religion that is, based on the interior light of the soul, on the soul’s own power of understanding—than from Indian thought. It is the very echo of the Indian Jnana Marga, the ‘Way of Wisdom’ that lies at the root of the Vedanta Philosophy. And the whole of Professor Max Müller’s book carries out the prophecy of the title. It is the author’s “last word on the highest subjects that can engage the mind of man”; and from first to last the solutions of these weighty problems, the highest that can engage the attention of man, are the solutions of India, the solutions of Vedanta, the solutions of Shankara. Yet another witness to the profound hold which Indian philosophy is gaining over Europe, is Dr. Paul Deussen, Professor of Philosophy in Kiel University. Professor Deussen has won a very high reputation for careful research, sound philosophic method, and lucidity of thought; a reputation which extends beyond Germany, and is rapidly becoming European. I hope at some future time to touch more fully on Professor Deussen’s studies in the Vedanta; at present I shall only quote one passage from his “Essay on the Philosophy of the Vedanta in its relation to the Occidental Metaphysics,” to illustrate the high value which he gives to this most perfect fruit of Indian thought. Here we must leave Professor Deussen’s admirable essay, to turn to two other thoughts suggested by it. The first of these two thoughts is, that it is hardly to our own credit, hardly to the credit of the English in India, that the richest of all Indian products should be brought to the western world almost entirely by others, that India’s singular contribution to the wealth of nations should be perfectly estimated and truly valued by everyone but ourselves. It almost looks as if the last verdict of history would be that the English in their long sojourn in India had been blind to the most valuable thing India possesses. That we have been busy with temporal interests, and have neglected eternal ones, that we have spent our time in shaking the pagoda-tree while others have been carrying to Europe the secret of the pagodas the sound, lucid and vivifying philosophy of India, which is a lasting contribution to the real wealth of the spirit of man. It almost looks as if history must record that the English rulers of India were so completely the victims of “Empirism Realism, and their natural consequence, Materialism,” that they allowed Germany to win the honor of bringing to Europe India’s best gift,—a sane and coherent philosophy which is the best cure for the malady of materialism. Let us look to our laurels; let us make up for the time we have lost; and take advantage of our uniquely favorable position to collect and elucidate the documents of this great philosophy, as valuable as the best work of the west, equal in rank to Plato or Kant. A quite unequalled opportunity is enjoyed by Englishmen resident in the Deccan, the headquarters of the Vedanta, the stronghold of Shankara’s school. Let us look to our laurels, for in two or three more years it will certainly be too late; the mines of the Vedanta will be appropriated by German workers; and we shall have lost a unique opportunity. The second thought suggested by Professor Deussen’s essay applies rather to the Brahmans than to ourselves. If Shankara’ s philosophy be really “one of the most valuable products of the genius of mankind,” how is it that we know so little about Shankara himself? If Shankara be the spiritual equal of Plato, how is it that we are not as well-informed of the events of Shankara’s life as we are of the events of Plato’s? How is it, for instance, that we are altogether at sea as to the date of Shankara’s birth; and are left to weave hypotheses on the chance words of Chinese pilgrims, hypotheses which may be several centuries wrong, and the subject of which is not an obscure poet of the long-gone golden age, nor a mythical hero of hardly less mythical past, but a philosopher equal in rank to Plato and Kant, the best teacher of a system which is one of the most valuable products of the genius of mankind, and whose date is certainly recent, compared with the vast bulk of Indian literature? I am convinccd that materials for establishing Shankara’s date with certainty exist; that the year of his birth can be as surely decided as the year of Plato’s or even Kant’s; and this not by the chance remarks of Chinese pilgrims, but by the records of the schools which Shankara himself founded. The Shriugiri matham, the chief school of Shankara’s disciples, has been presided over by an unbroken chain of his spiritual descendants, from Shankara’s life time till the present day. A record of these spiritual heads of Shringiri, of the Guruparampara chain of the great Paramahansa Paridrajaka, almost certainly exists at Shringiri matham; and most probably at the other mathams which claim Shankara as their founder. And the record of the chain of teachers, with the time during which each held the position of chief, would settle Shankara’s date completely, and give a firm historic basis to the study of his grand philosophy. It would be a fitting response to the enthusiasm which is bursting forth in Europe for Shankara and his philosophy, if the Brahmans, whose greatest honor it is to be Shankara’s faithful pupils, were to obtain a properly verified list of the Gurus of each of Shankara’s mathams, a comparison of which would probably settle the great teacher’s date once for all.